When the urge to redecorate strikes, it can be almost impossible to ignore. You can’t quite put your finger on what, but something in your room is off. It’s time for a change. Variety is the spice of life, after all, so it’s time to spice things up. But before you start frantically moving your furniture around, repositioning knick-knacks for optimal Feng Shui, flinging your clothes all over the place, slapping on a new coat of paint (or three), and generally making a bigger mess than before, consider these 7 stylish room redecoration ideas. Forget everything you thought you knew about room redecoration. Who says you can’t place your bed in front of a window? What’s stopping you from painting the walls bright pink? And what’s wrong with adding a few extra pillows to your bed? When it’s time to redecoate your room, it can be extremely liberating to forget all the rules and just do things your way. In fact, when you toss all the rules out the window and approach your room redecoration with an open mind, you’ll be amazed by all the unique and stylish concepts you come up with. Your room is your sanctuary, after all, so no one knows how to redecorate it better than you. In no time at all, it will become a room fit for royalty! Step back and ask yourself: why do I want to redecorate my room? Maybe you want to declutter your room, perhaps you’re looking to add a splash of colour, or maybe it’s a simple case of spring cleaning. Whatever the reason, these goals should inform the overall ‘theme’ of your redecorated room. For example, if you decide the theme of your room redecoration is going to be ‘colour’, then it might be time to splurge on some colourful new rugs, pillows, and bedding to transform your room into a radiant rainbow. Alternatively, if your theme is ‘declutter’ you will probably have to make some tough decisions and get rid of a few much-loved items. Basically, your room redecoration theme should inform all of your decorating decisions! Replacing your curtains is an awesome and incredibly easy way to make your room feel brand new. If you’re anything like us, your curtains bookend your day: you fling them open first thing in the morning to welcome some sunshine into your life, and you close them in the evening as you prepare for a refreshing night’s rest. In many ways, curtains are like a photo-frame for your room. So, if you’re sick of seeing the same old, same old, then new curtains are a great way to reframe your view. Whether you choose blackout blinds for a better night’s sleep or curtains with a dash of colour, you’ll be amazed by how much new curtains can change your outlook. Mirror, mirror on the wall, who is the best decorator of them all? Much like curtains, adding a mirror is a stylish and simple way to fundamentally reframe your room. Since wall mirrors reflect light, they can make your room feel bigger, which is especially useful if your house or apartment is slightly on the smaller side. Additionally, a metallic mirror frame can add a touch of elegance and class to your room. Better yet, a new mirror will give you another chance to admire your fabulous redecorated room. Prepare to see double! Room redecoration doesn’t have to be a massive job. Often, it can be as simple as changing one or two things. As such, adding a statement piece can give your room a whole new lease on life. 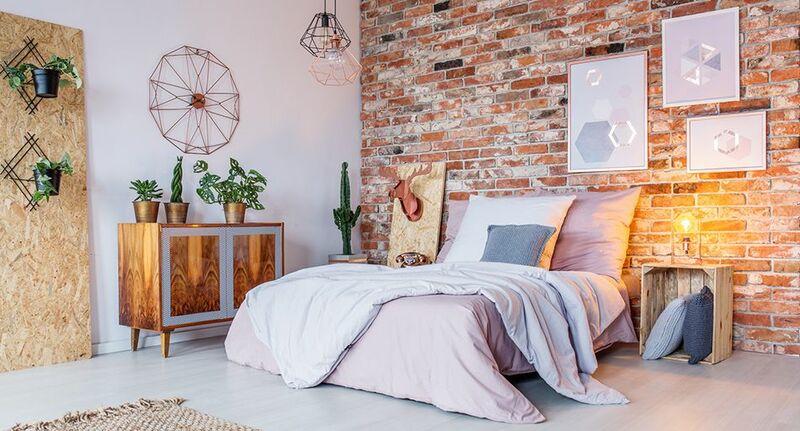 Of course, the statement piece will depend on a few factors, like how much space you have, the theme of your room redecoration, and what kind of statement you’re trying to make, but some ideas include: a few vibrant indoor plants, new wallpaper, a luxurious, romantic canopy for your bed, eye-catching artwork, a new lamp or lighting feature, new bedding, a new rug, or even a new headboard. It doesn’t necessarily matter what your statement piece is, because what’s most important is that it screams your statement loud and proud. What’s old is new again. If you’re looking to change things up in your room, what better way than by going back to the future and incorporating some vintage items among your decor? Vintage is definitely in vogue, so now’s your chance to get nostalgic with some awesome vintage decorations. This might mean digging through your attic to find the perfect vintage lampshade, or even a spot of antiquing to find a vintage accessory that will tie your whole room together. A few easy vintage decoration ideas include: vintage picture frames, reclaimed wood wall hangers, rustic bed frames, vintage doorknobs, and much, much more. Whether you decide to add one or two vintage items to complement your room, or do a total vintage makeover, it’s time to say out with the new, in with the old. #7 What does your room say about you? You can add as many fancy accessories and pretty colours as you want, but ultimately, your room should be a reflection of you. So, before you finalise your room redecoration, it’s important to take a step back and ask one simple question: what does my room say about me? When it comes to room redecoration, it’s important to trust your personal sense of style above all else. A room can say a lot about a person, so don’t hesitate to add a few personal flourishes!